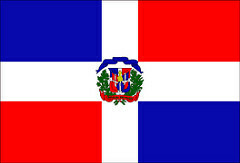 The Dominican Republic is in the eastern portion of the Hispaniola island, located in the heart of the Caribbean Sea. It occupies a surface of 48 315 km2 out of the total 76 480 km2 of the island, making it the second largest country of the Greater Antilles (after Cuba). The western side is occupied by another independent country, the Republic of Haiti. The limits of the Dominican Republic are the Atlantic Ocean to the north, La Mona Channel to the east (separating it from Puerto Rico), the Caribbean Sea to the south, and Haiti to the west. The Hispaniola island was the third location that Christopher Columbus visited during his first trip. This happened on 5 December 1492. He arrived in the northern coast of the island, where subsequently was established the first settlement of the New World, La Isabela, the remains of which can be found in the province of Puerto Plata. 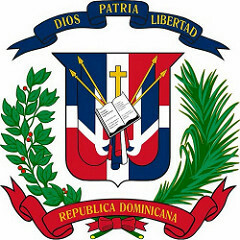 Santo Domingo, in the southern coast, is currently the capital city of the Dominican Republic. It is the largest metropolitan area in the country and it is one of vast historic importance as it is considered the oldest city of the Spanish settlement in the Americas.